These days, in order for ecommerce and delivery businesses to keep up with intense competition, offering same-day delivery has become a necessity. Of course, this isn’t an easy service to offer. It requires the right strategy, the right team and most importantly the right technology to be in place. This is where a trip planner can help. A route planner takes care of all stages involved in same-day delivery. From planning to distribution to execution, the software ensures perfection, which saves you from worrying about field service management. And that’s just the tip of the iceberg. Read on to learn more about how a road trip planner can transform your same-day delivery service. Here’s some food for thought: why are autonomous vehicles becoming all the rage these days? Because they’re designed to be auto-piloted. Autonomous vehicles make driving an efficient, hassle-free experience. The same goes with a delivery app. This software allows you to plan a route without demanding hours of your time. Just plug the addresses into the dispatch software and you’ll receive 100% accurate, well-optimized routes in only 30 seconds. That’s less than the time it takes to make a cup of coffee! The route will be free from traffic, bad weather, roads under construction and left or U-turns, so your drivers will never get stuck on the road. They will deliver on time and make more stops per day, thus earning more money for themselves and your business. The GPS tracking app also allows you to set speed alerts that will notify you as soon as a driver crosses the speed limit. You can then communicate with them to check on their speed and avoid the possibility of a road incident. This would save you from facing potential legal issues due to road law violations. Aside from helping you improve route optimization, a scheduling app also allows for automated re-optimization of routes. For example, if a driver gets stuck on the road due to a sudden vehicle breakdown, you can still re-optimize the route immediately, ensuring that the affected delivery will still be met by re-assigning it to the driver closest to the customer. Any changes you make will be reflected in driver’s route planner app, so you won’t have to worry about relaying new route details. Information is power – the more information you have, the more you’re able to accomplish with it. Having a wealth of data at your fingertips allows you to enhance, grow and manage your field service operations more effectively. A trip planner can help in that department as well. The software comes with reporting and analytics feature that tracks fuel costs, total and average service times, number of stops in a day, number of completed routes and more. This data is paramount in identifying operations that need improvement. The information can help you manage costs as well as the performance levels of your field service employees. You’ll be improving the efficiency of your same-day delivery service, benefitting your business and, by extension, its customers and employees. In order for your business to be successful, it’s important that your employees be incentivized to perform well and remain faithful to your company for the long haul. You can do this through fleet management software. A trip planner provides your drivers with accurate routes, ensuring that they’ll always reach their destinations on time. This saves your employees a considerable amount of stress while ensuring that customers will have a positive experience doing business with your company. Keeping drivers happy gives them the incentive to keep working with your company. You’ll be able to identify which drivers have the most success with same-day delivery and take measures to retain them accordingly. Hiring new drivers costs money; there are training expenses and additional wages to consider, with zero return on investment until they start delivering. Of course, as they start out, new employees need time before reaching the same efficiency as your experienced drivers. This training period translates to additional expenses to your company. A driving route planner also helps your customers track their delivery. For example, Route4Me comes with a customer portal that allows customers to see the status of their inbound visit. The customer portal provides your customers with login access to Route4Me using a tracking number or their Account ID to monitor the status of their inbound visit. The customer portal shows them as much (or as little) information as you want to reveal to them about the visit – for example, custom fields, driver identity, estimated arrival times, and much more. This kind of access shows customers that you prioritize exceptional customer service. It also reduces the probability of failed deliveries. When customers can track their packages in real time, they’re able to ensure that someone is present at the destination to accept the order. A trip planner also helps you make fast deliveries by cutting the time drivers spend manually checking in and out. The software comes with geofencing technology that handles this automatically at each stop. It also improves the safety of drivers – they won’t need to look at their phones, as is common practice when checking in manually. Automating the check-in and check-out process saves you tons of money and precious time. If your drivers make multiple stops each week, month and year, and you have a large operation to manage, you’ll be amazed at what a route planner can do for you. 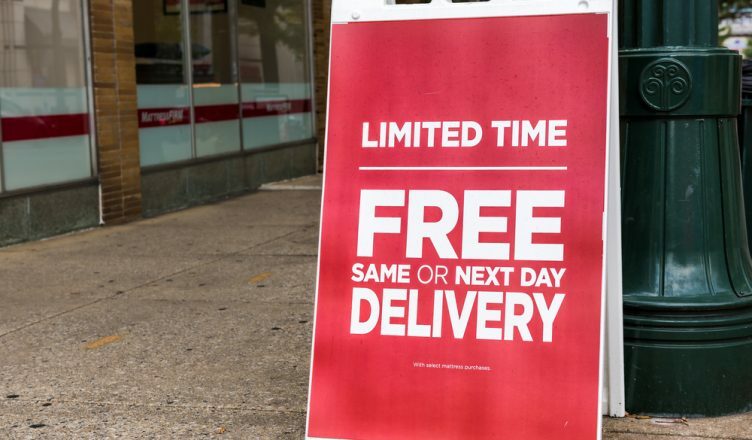 So, how do you ensure seamless same-day delivery? Do you have any questions? Please feel free to leave your comments below. Also, here are three quick questions to recap on the benefits of using a trip planner. How does a GPS tracker ensure your drivers follow the directions? 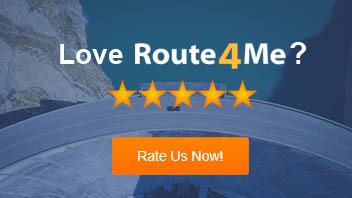 How does a route planner help you retain your best drivers? How does a trip planner help you identify areas in need of improvement in your field operations?